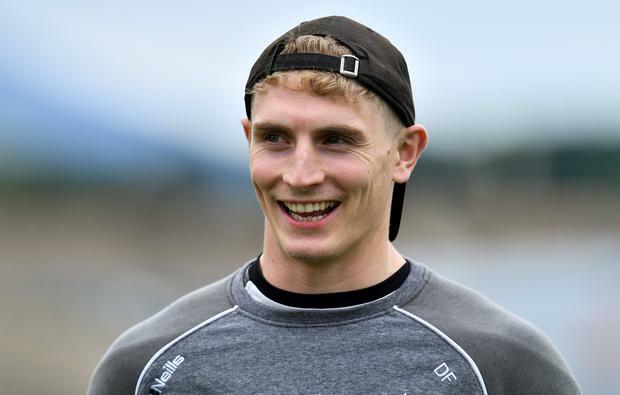 Former Kilkenny hurling star, Michael Fennelly, has joined the Kildare footballers' backroom team as their 'performance coach' after their panel for the upcoming O'Byrne Cup was announced. Fennelly - who yesterday captained Ballyhale Shamrocks to victory over Ballyboden St Enda's in the Leinster club SHC final - is a lecturer in nutrition in Limerick IT. While the news will be seen as a boost to Cian O'Neill's men, confirmation that Daniel Flynn is not part of the panel is a setback to their hopes of building on last season's progress. Flynn is due to finish his Masters before heading off for a few months travelling and then taking up a position with a Dublin firm, while Niall Kelly is also out, as he has begun a three-month travelling trip. O'Neill is expected to leave the door open for the Athy forward, however. Apart from that, there are no big shocks, with the 39-man panel consisting of 11 players who were involved in this season's All Ireland U-20 winning team. Kildare panel: Mark Donnellan, Aaron O'Neill, Peter Kelly, David Hyland, Mick O'Grady, Mark Hyland, Mark Dempsey, Mark Barrett, DJ Earley, John O'Toole, Eoin Doyle, Keith Cribbin, Cian O'Donoghue, Kevin Flynn, James Murray, Conor Hartley, David Malone, Jason Gibbons, Kevin Feely, Tommy Moolick, Fionn Dowling, Pascal Connell, Fergal Conway, Aaron Masterson, David Slattery, Paul Cribbin, Mark Sherry, Paddy Brophy, Eoghan O'Flaherty, Adam Tyrrell, Tony Archbold, Neil Flynn, Chris Healy, Jimmy Hyland, Padraig Nash, Ben McCormack, Brian McLoughlin, Padraig Fogarty, Kevin O'Callaghan.